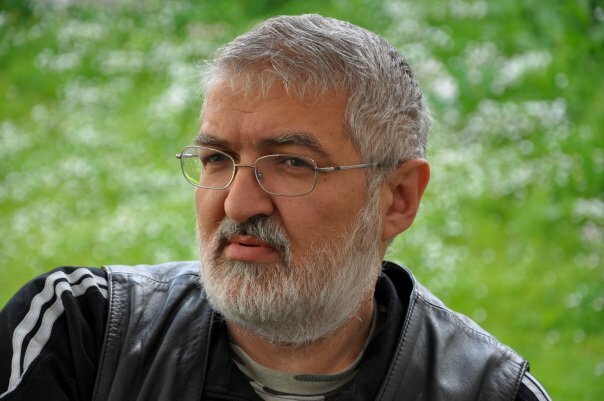 One of the Internet pioneers in Bulgaria, a long-term my friend and friend of the Internet Society – Bulgaria, Elya Bozhinoff, has suddenly passed away today. We will remember him as a good friend, a good Father and Grandfather. Elya was only 53 years old. 20 years ago, as head of MicroComm, he supported the establishment of the first Sofia-based Bulletin Board System, part of FidoNet, having a node number 2:359/101. He has hired Assen Sharlandjiev as the first system operator of the BBS, and a few months later, on September 3, 1990 also myself. I knew Elya for a while before that, too, but the real friendship started then, and enhanced through the years. His father, Todor, was my first teacher in mountain hiking. The last communication I had with Elya was only few days ago, when he invited me to play one of his favorite games, this time on Facebook. Elya became also leader of the Citizens Initiative for Free and Democratic Elections, a non-profit, which was monitoring elections in Bulgaria, and other East European countries. He had a career in the Bulgarian Socialist Party, and has managed to achieve a lot of things in the last 30 years. He will be missed by all his friends. My condolences, and the sympathies of the Internet Society of Bulgaria are for all his relatives and close ones.